Dr. Katrin is the Owner and Head Veterinary Doctor of the GVC and the Dedicated Veterinary Advisor on all of GVC’s / PGG’s Pet Transport cases. 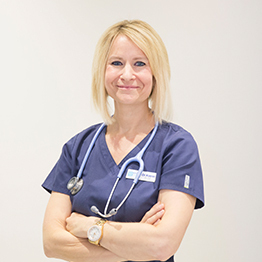 Dr. Katrin graduated from the University of Munich, Germany in 1999 after which she spent 7 years working in a variety of practices, including specialist and referral centers in the UK in order to get broad and extensive experience in all areas of small animal medicine and surgery. She opened the German Veterinary Clinic- the first dedicated, high standard Small Animal Clinic in Khalifa City A, Abu Dhabi – in 2008. Her empathetic and caring approach, as well as her extensive knowledge and experience, led the clinic to very quickly grow to a team of 18 staff and the practice continues to expand and flourish to this day. Dr. Katrin is hugely passionate about Pet Transport and the safety and welfare of the pets in the period leading up to and during travel to ensure that all pets arrive at their destinations safely, happily and in good health. The role of Veterinary Advisor on the Pet Transport cases is a huge and important one and ensures that all the veterinary requirements, such as vaccinations, blood tests, and parasite control are perfectly in line with the requirements of the importing or exporting countries. Additionally, she plays a huge role in assisting Joanna and Rory in ensuring the welfare and safety of the animals by making sure they are “Fit to Fly”, ensuring their transport cages are safe and have the correct size and by suggesting products to ease the anxiety of the pets in the run up and during travel.